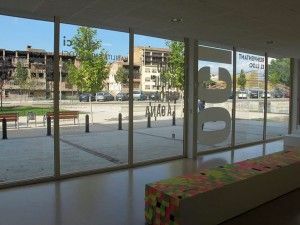 Screens and Windows, as part of ACVic's exhibitions programme and through an open call and invitations, aims to display new proposals making use of part of the Centre's glass frontage as well as a version for the internet. Participating projects will be displayed at acvic.org. The formal realisation of these proposals must take into account each of the two spaces, virtual and physical. Ignasi Aballí is the invited artist to begin the programme Screens and Windows. 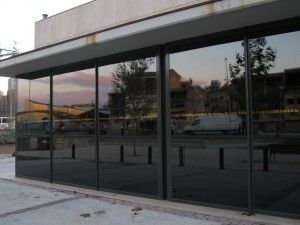 Transparency intervention in the glass wall of the ACVic’s facade reflects on the physical characteristics of the building and its structural support. In this first case we take the Centre as a starting point for reflection and probably in later projects will be extended to other areas and territories. One of the main features of the large glass wall of the facade of the Centre d'Art is transparency, the interior and the interior are then connected through it. This is, firstly, in close and blind the condition of transparency of the windows, covering them with black vinyl, and secondly, to propose a reflection on the same condition of transparency of the glasses, placing them a text that letters have been cut, making a crack through which we look through both inside and outside of ACVic. ACVic issue an open call for proposals to participate in the projects programme Screens and Windrows throughout 2011. His call is addressed to creators of several disciplines with projects that express a relationship between data and territories. ata as units of raw meaning, must be contextualised within a specific territory. The territory incorporated within the project need not be that of the ACVic Centre, and may refer to any city, neighborhood, landscape or specific context. The relationship between data and place must be clearly specified. Subject matter and the referenced context are open. CVic will offer technical support for the implementation of the project on the web page. Ignasi Aballí. Visual artist. 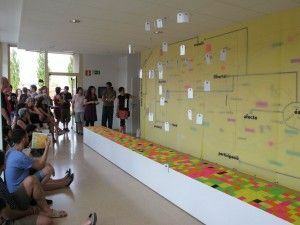 Has exhibited several works in Spain and abroad, including Macba - Barcelona, Museum Serralves -Oporto, IKON Gallery - Birmingham and ZKM - Karlsruhe. Participated in the 52ª Biennial Exhibition of Venice (2007), in the 8ª Bienal of Sharjah (2007) and in the XI Biennial Exhibition of Sidney (1998). Tere Badia. She is the director of Hangar Centre d’Experimentació i Producció d’Arts Visuals in Barcelona. She is devoted to research and cultural production in various formats as curated exhibitions such as The Baroque d_efecte. Hispanic Political Image (2010) or advice to groups and cultural networks. She works especially in the field of management theory and cultural policy, network theory, innovation and the arts. She coordinated the platform DISONANCIAS in Catalonia and the Xarxa d’Espais de Producció d’Arts Visuals in Catalonia. She has conducted several studies analytical and manual of collaboration in the field of culture and I + D + I for the visual arts. She teaches at the Escola Universitària IDEP de Barcelona. History and Art Theory by the Universidad Autónoma de Madrid. From 1991 to 1998 she worked in IVAM as a curator of several exhibitions. In 2002 she was part of the curating team for Manifesta 4, Frankfurt. From 1998 to 2008 was project manager for the Fundació Antoni Tàpies. Currently works as a curator at the Museo Serralves, Kunstverein Dusseldorf and MACBA in Barcelona. Ramon Parramon. Director of ACVic Centre D’Arts Contemporànies. From 1999 he directs the art programme IDENSITAT. Co-director of the master in Design and Public Space in Elisava/Universitat Pompeu Fabra. Has participated and organised numerous seminars, workshops and roundtables about art and social space. 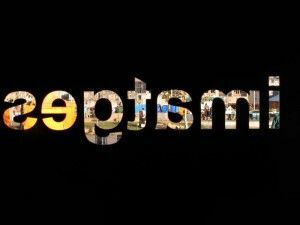 Has edited some publications like Reversible Actions, Art, Education and Territory. ( (EUMO Editorial / ACVic, 2010)); Home/Away. Art and contemporary creation in social space (Idensitat, 2010); Art, experiences and territories in process (Idensitat, 2008). Follow the instructions included in the form page. [Fill the form] Deadline 13 February 2011. ACVic reserves the right to use all images generated by the project for any related information and publications derived from the program. Screens and Windows is an ACVic project in collaboration with Hangar. ACVic Centre d’Arts Contemporànies is a public cultural venue which promotes the creation, production and exhibition of proposals in the visual arts, as well as in other contemporary artistic disciplines. ACVic Centre D'Arts Contemporànies follows a trend of action centred on the relationships among educational activities, territory and social interaction. Art and education, interlaced together, facilitate production spaces which favour experimentation, and an understanding of artistic practices as practices affecting, interacting and transforming social space. ACVic is the result of a collaboration among the Ajuntament de Vic, Departament de Cultura i Mitjans de Comunicació de la Generalitat de Catalunya and l'H. 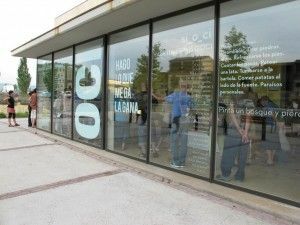 Associació per a les Arts Contemporànies. Screen and Windows has the collaboration of Hangar.